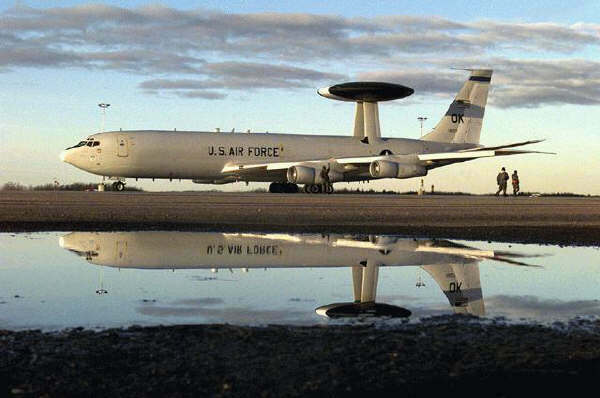 E-3 Sentry aircraft are Airborne Warning and Control Systems (AWACS), developed by the American company Boeing for the United States Air Force during the Cold War. The E-3 was developed from the commercial Boeing 707-320 series. The most notable characteristic is the the large radar mounted on top of the fuselage. The primary mission of the Sentry is to detect and trace enemy aircraft movements and sending this information to other aircraft like fighter jets. The Sentry has a larger radar range than fighter jets. The E-3 can also support ground-units with information for reconnaissance and air support. 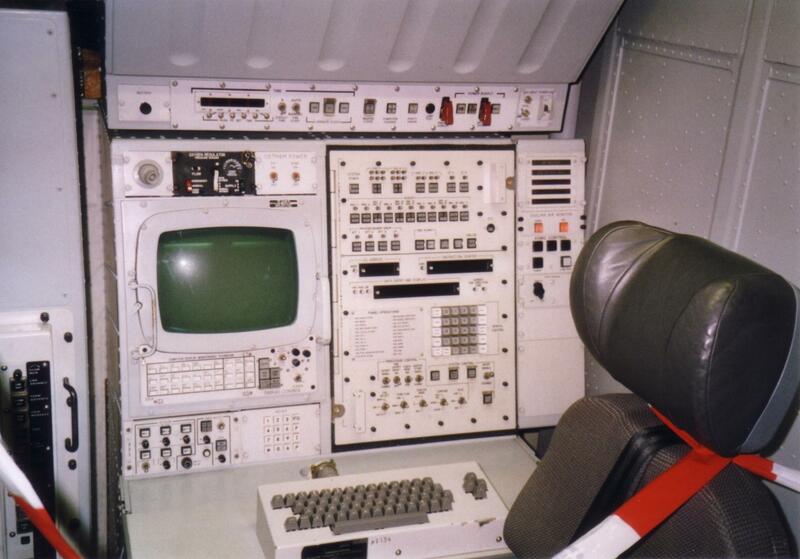 From the basic of the commercial airliner, the Sentry is completely modified where the cabin is equipped with workplaces for different airborne functions. Crew 4 (2 pilots, 1 flight test engineer, 1 navigator) + 13-19 specialists: (tactical director, fighter allocator, weapons controller, surveillance controller, surveillance operators, passive controller, communications technician, radar technician, system technician. 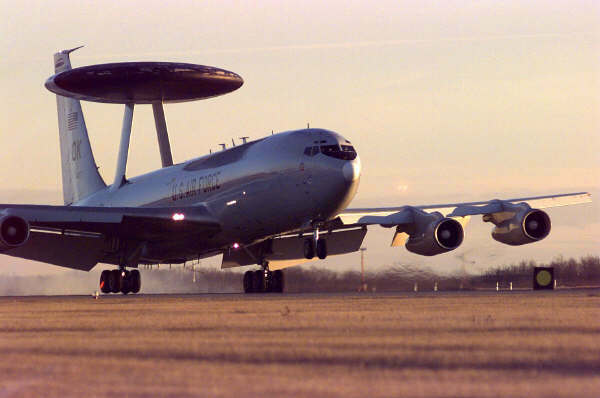 The E-3 Sentry was primary developed for the USAF which toke over of 33 aircraft (1). The AEW&C department of NATO which consists of 16 countries bought 18 aircraft (2). The United-Kingdom bought 7 airplanes by their own (3), the same as France (4 airplanes) (4) and Saudi-Arabia (unknown) (5). The US Air Force has 33 E-3B Sentry aircraft. Some of these are stationed on Tinker Air Force Base, close to the city of Oklahoma. Electronic Support Measure, GPS, Joint Tactical Information Distribution System, a increased memory capacity for JTIDS and EMS. NATO has bought 18 E-3A Sentry aircraft short after the USAF. The E-3 were almost similar to the US version and were also equipped with the TF-33 turbofan engine. 1 aircraft has been crashed. The 17 remaining aircraft have their home base on Geilenkirchen Air Force Base (Germany) near the cities of Maastricht (Netherlands) and Aachen (Germany). Besides Geilenkirchen there are FOB in Italy, Greece and Turkey and a forward operating location in Norway. 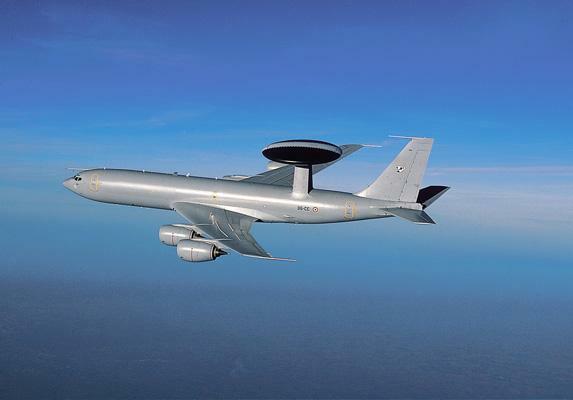 The NATO Sentry aircraft perform an continue airborne control mission of the European NATO countries. 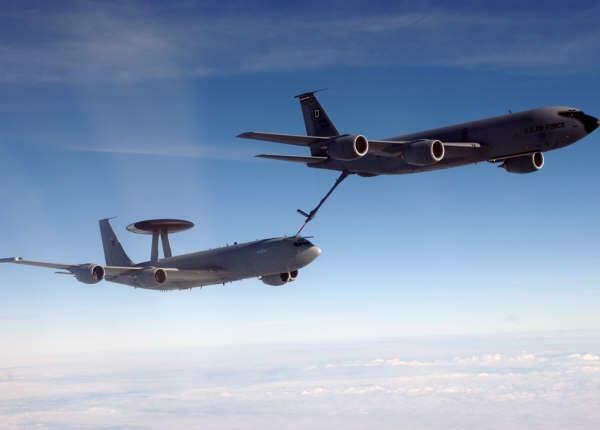 The British Royal Air Force (RAF) has 7 E-3D Sentry AWACS stationed with 8 and 23 squadron on Waddington Air Force Base (UK). They are also part of the NATO AEW&C part are ownership of the UK Ministry of Defence. They are equipped with 4 CFM 56 high-bypass turbofan engines from CFM (General Electric and Snecma). The airplane has a maximum velocity of mach 0.9 and a ceiling of 14.000 meters (45,921 ft). 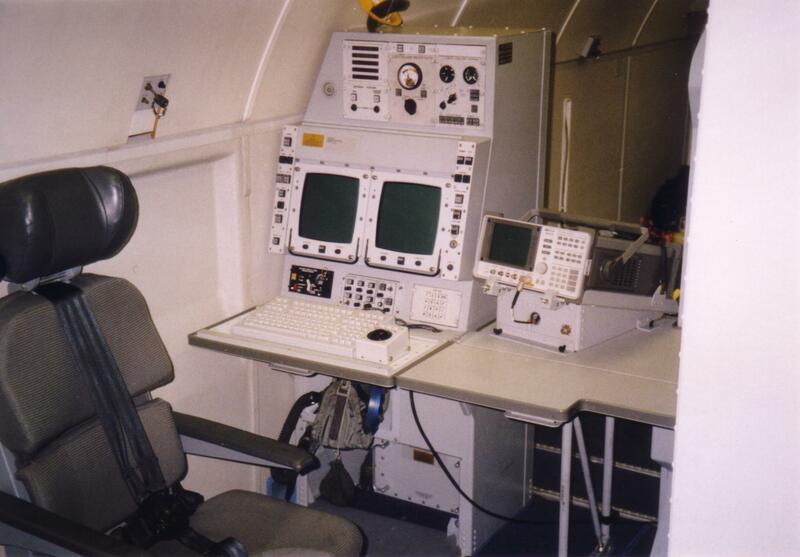 The British Sentry aircraft are also part of the RAF ELINT capability (Electronic Intelligence). 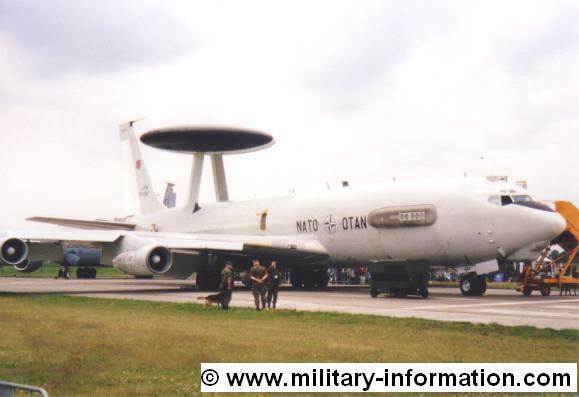 Since June 22, 1990, the French Air Force has 4 E-3F AWACS aircraft These are also equipped with the CFM 56-2-A3l turbofan engines which has a thrust of 10.000 kg (each). The Saudi-Arabian Air Force also has the E-3 Sentry which are currently (2010) being updated.